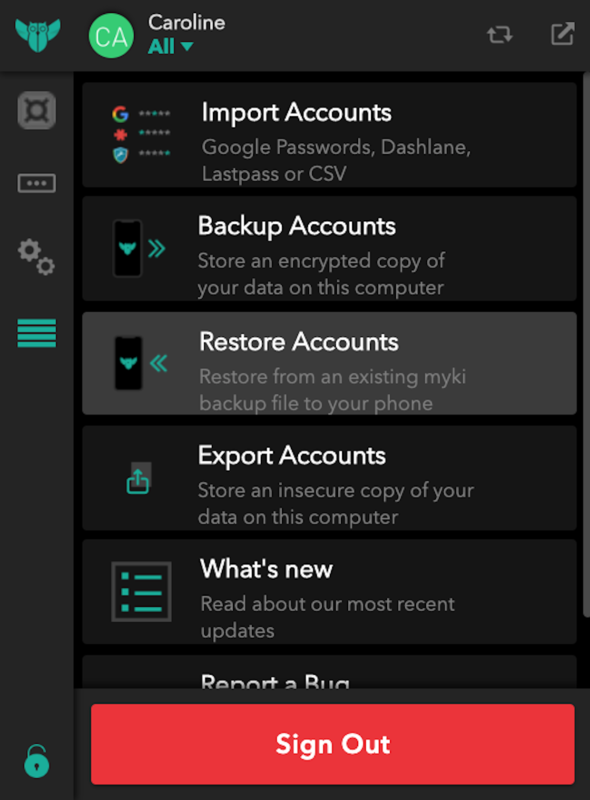 Here are a few simple steps to restore your accounts from your browser extension or your phone. Click on your Myki Browser Extension (top right corner of the browser). Select "Advanced settings" (it looks like four horizontal lines). "Restore from one of the available backups below". 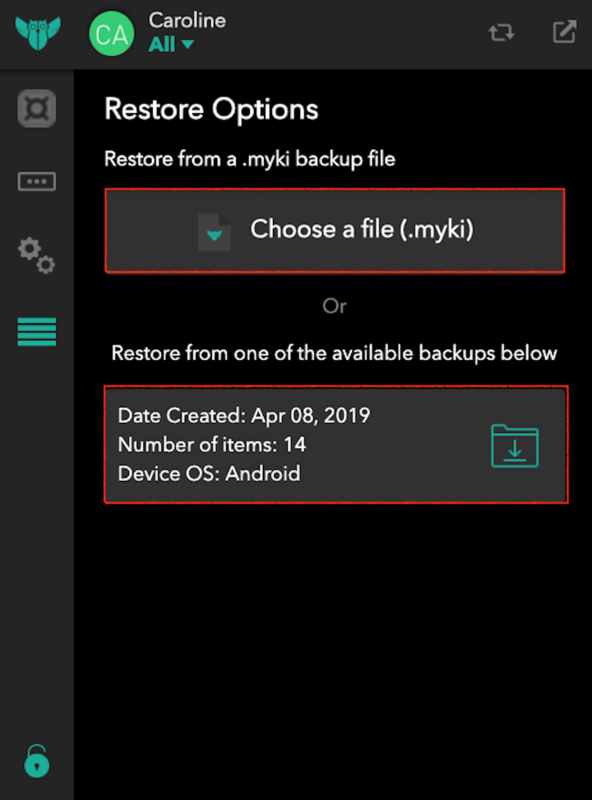 This option lets you choose from one of the backups that are automatically stored in the secure storage of the extension. Either option will prompt you to scan a QR code from the extension using your Myki Mobile app. You will receive a notification on your smartphone which will pop up a camera to scan the QR code. After scanning the QR code, the Myki app will take a few seconds to load the data and everything should be back to normal!